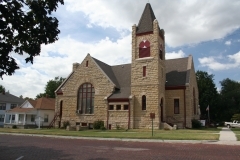 Built in 1893-1894, Baden Hall at the former St. John’s Lutheran College derives its significance from its role as a locally prominent educational facility. Founded by John P. Baden, one of Winfield’s prominent 19th century businessmen, St. John’s was distinguished as one of two such private denominational colleges in the city. Baden Hall was constructed as the original facility at St. John’s – the only one associated directly with Baden himself – and for twenty years the sole building on the campus. 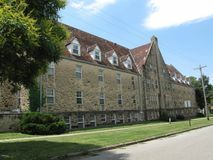 The building’s function evolved over time from the primary classroom and dormitory space on campus to administrative offices. 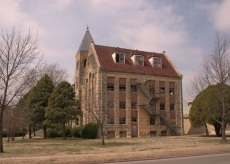 The college ceased operations in 1986, and since then most of the buildings have been adaptively reused by the City of Winfield for a variety of purposes. Today the building is apartments. Constructed in two phases between 1950 & 1953, Mundinger Hall at St. John's College is a locally prominent landmark that derives its significance from its association with education and for its architecture. 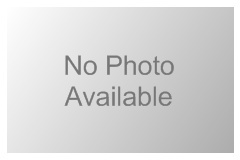 This building, constructed in 1916, is significant under Criterion A for its association with education. 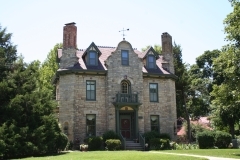 One of the early St. John's College buildings, Rehwinkel Hall is the second oldest surviving on campus and one of three buildings most closely associated with the early history of the college. This tetrahedron wind indicator once functioned as a part of the World War II-era Strother Army Air Field in its role in the Battle of Kansas, a highly significant effort to train pilots and test, build, and deliver airplanes to the Pacific front during World War II. 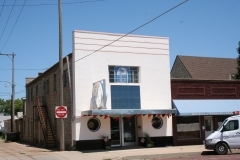 Strother Field is centrally located between Winfield and Arkansas City in Cowley County and was named for Captain Donald Root Strother, the first Cowley County pilot killed in World War II over Java. The field was built in 1942 with four runways: two parallel runways with a north-south orientation and two perpendicular crosswind runways in a northeast-southwest orientation. The wind indicator, which alerted pilots to wind direction to aid in landing aircraft, is centered midfield in its original location. It is a three-dimensional triangular object measuring approximately 27 feet long, 15 feet wide, and 15 feet tall. The exterior is galvanized tin with lights along the edges. 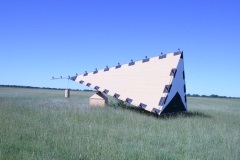 Just five World War II-era tetrahedron wind indicators are known to exist at former Kansas airfields. 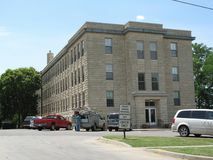 It was nominated as part of the "World War II-era Aviation-Related Facilities of Kansas" multiple property nomination in the areas of military and engineering. First constructed in circa 1890 by Jacob Weigle, the Weigle Barn is a representative example of early agricultural buildings in Cowley County. The barn is a unique example of a timber-framed bank barn with a milled-lumber gable-roof addition (circa 1920). The Weigles’ L-shaped barn was constructed to house livestock and to store grain and feed. This barn and its associated livestock pens are nominated for their local significance in the areas of agriculture and architecture. The barn continues to function as the center of farming operations for the Weigle Family.